There’s a strong scene in the new reality series “Born This Way” in which Elena, 28, one of the seven main characters, takes an emotional nosedive. During a lively conversation among the show’s group of friends, one of them refers to Down syndrome, which all of them have. “I’d rather not hear it,” Elena says, groaning, in the throes of frustration, asking that the group instead use “DS,” if they have to refer to it at all. “I don’t know why God gave me that in the first place,” she says about DS before leaving the room. In the next scene, her mother, Hiromi, talks to the camera about having given birth to Elena in her native Japan: “It was a shame for the family,” Hiromi says, and she cried every day. It took her 20 years with Elena, she says, “to be able to finally accept her as she is.” You quickly understand one of the possible reasons Elena, who is shown having a number of meltdowns, struggles so painfully with having DS. It’s one of the compelling sequences that eased my mind somewhat about “Born This Way,” which premieres on A&E on Tuesday at 10 p.m. 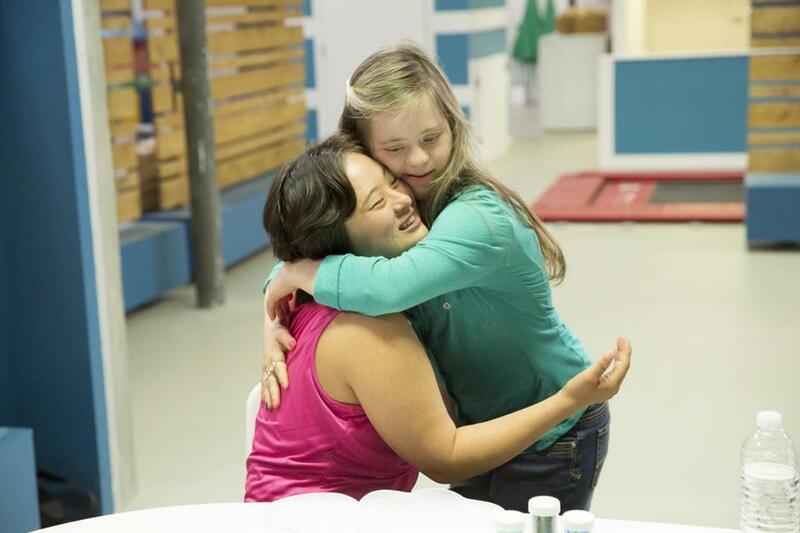 There are a number of potential pitfalls with a show such as this one — that, like some of TLC’s series about people with disabilities, it will condescend to or exploit its subjects for reality-coarsened viewers; that the participants won’t fully understand the way they’re going to be edited into character types; that it will ignore the complexities of having Down syndrome or parenting a person who has it. And with Ohio possibly about to follow North Dakota in banning abortions based on genetic anomalies, whitewashing the lives of those affected by DS has a potential political message. “Born This Way” veers toward all of these pitfalls; I do wonder how Elena feels about seeing herself as the drama queen, and the parental support that all of the cast members receive is awfully Hallmarky, at least in the premiere. But the show nonetheless manages to stay dignified and realistic (in a reality-TV kind of way). It essentially toggles between two views. First, that people with Down syndrome in their 20s are like other people in their 20s — dreaming of careers, dating, loving hip-hop. And second, that people with DS have special challenges in life, as do their parents. Elena and her mother aren’t the only ones with issues; the ambitious wannabe filmmaker Megan, 22, for example, deals with a mother, Kris, who’s desperately afraid to let her live on her own and have children. “I don’t want the whole society to limit me because I have this,” Megan says to the camera. The cast, like many reality ensembles, includes a carefully selected variety. Steven is the happy, handsome one who calls DS “Up syndrome.” Sean is the self-described “ladies man.” Cristina, warm and loving, is involved in a five-year relationship. Rachel is a likable second-banana type who says she is boy crazy, and who is a little obsessed with singer Adam Lambert. And John is a natural-born entertainer who raps and is working on an album. “I’m never shy,” he says. They promise to form an appealing and supportive group, unlike, say, the casts chosen for “The Real World,” who are selected largely based on their likelihood of creating conflict. And “Born This Way” is from Bunim/Murray Productions, which also brings us “The Real World,” so it’s nice to see that they’ve opted for discretion this time around. Yes, it’s always nice not to need to take a “Silkwood” shower when the credits roll. On A&E, Tuesday, 10-11 p.m.